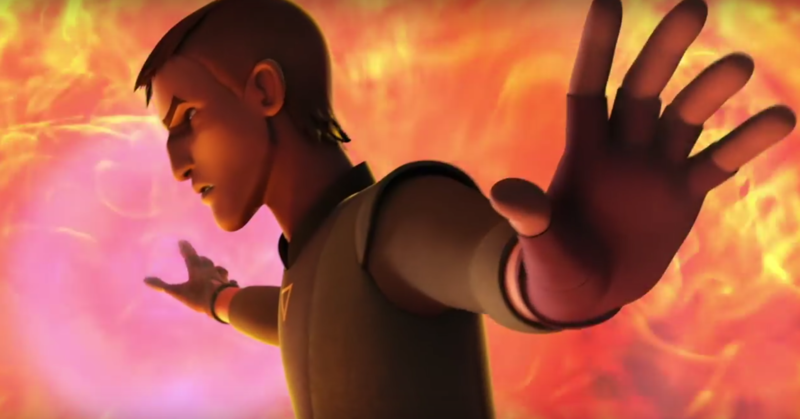 Star Wars Rebels Just Took A Left Turn…Or Did It? WARNING: This post has MASSIVE spoilers! 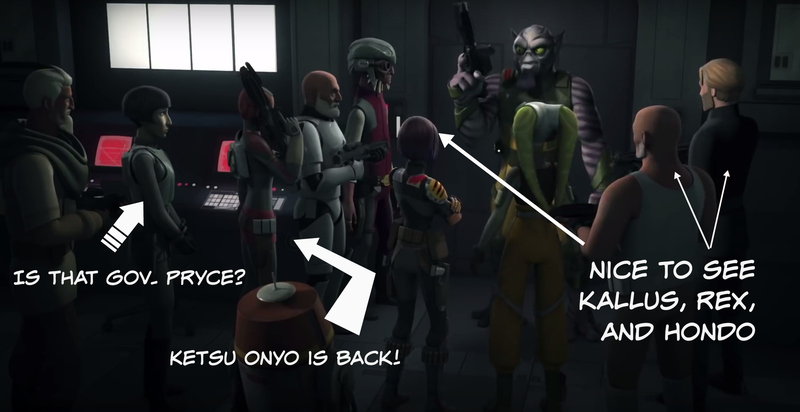 If you haven’t seen the Star Wars Rebels episodes “Jedi Night” and “DUME” you should before reading this. You just can’t unsee that. Dave Filoni knows how to keep fans expecting the unexpected, but that was unexpected. Star Wars fans have long wondered how Dave and the creative team at Lucasfilm were going to wrap up Star Wars Rebels. There had to be some explanation about why Kanan, Ezra, Sabine, and Zeb are absent from any future films. We know that Hera, Chopper, and their ship The Ghost make it to at least Rogue One, but the rest of the cast is absent so far. Did something happen to them? Well, we know the fate of at least one of The Ghost crew. Kanan, Jedi Knight and father figure to Ezra died as he lived, protecting those he loved and in true Jedi fashion somehow completed the mission to not only rescue Hera but shut down the production of the TIE Defender. Hera’s crew worried about the creation of this new type of TIE fighter as it far outstripped any of the vehicles either the Empire or the Rebellion were using and could turn the tide against them. Things seemed to be bleak for our rebel friends, but in a reckless and desperate move to kill the rebels, Governor Pryce ordered her troops to fire upon the fuel tanks where Kanan, Hera, and Ezra were about to make their escape. In doing so, she also destroyed the entire production facility. But Kanan, using the Force to hold back the explosion just long enough for his rebel family to escape, foiled her plans in every conceivable way and doomed the TIE Defender project. The crew return to base devastated and without hope. What made Kanan’s death even more tragic was it happened almost immediately after he and Hera professed their love for one another and sealed it with a kiss. But each of them deal with Kanan’s passing in their own way, finding peace in his last act of sacrifice and love, and by the end, they are ready for the next mission – to save the Jedi temple on Lothal. Where all this is leading and how it will all end are still a mystery, but obviously the loth-wolves will be playing a big part. And is one of them Kanan? Why does Ezra need the knowledge locked away in the Jedi Temple? What is the mysterious writing on that big wall? And is that Governor Pryce WITH the Rebels after she killed Kanan? What happens next is anybody’s guess (except Dave’s – he knows). 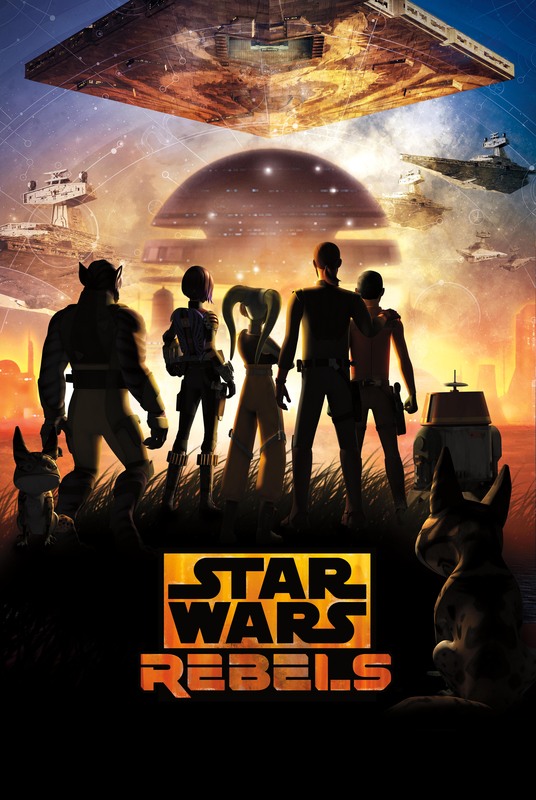 Star Wars Rebels has been one of the most well-crafted animated series on television and definitely one of the most engaging. Watching these characters develop over the past four seasons has been a blessing and although sad to see it near its completion, it really is time. Can’t wait to see what happens next! Is that really Governor Pryce with the Rebellion?